The Benedictine monks of Glenstal Abbey on Saturday elected a new Abbot who will lead the Co Limerick community for the next eight years. 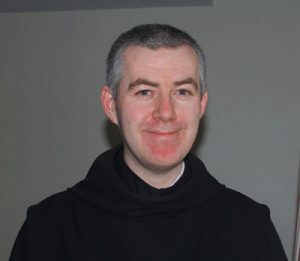 46-year-old Fr Brendan Coffey is the sixth Abbot of the monastic community and he succeeds Abbot Mark Patrick Hederman, who held the office from 2008. Fr Joseph Coffey was born in Ennis, Co Clare in 1970. After studies in Maynooth and Rome, he was ordained a priest of the diocese of Killaloe in 1995. After ordination, he pursued postgraduate studies in canon law at the Gregorian University in Rome, after which he was appointed curate in the parish of Kilrush. He entered Glenstal in 1998, taking the name Brendan. He professed simple vows in 1999 and made his solemn profession in 2002. After some years working in the abbey school as a housemaster and teacher of Classics, Fr Brendan spent two years in Padua in Italy doing postgraduate studies in liturgy. On his return to Glenstal, he served as prior of the monastery from 2007 until 2015. He spent the academic year 2015-16 at the Catholic University of America doing doctoral studies in liturgy. Abbot Coffey takes office immediately and the formal abbatial blessing will take place at a future date after the current renovation works at the abbey church have been completed. The Abbot is elected by all of the monks who have made their solemn (ie lifetime) profession of vows and the process will probably take two or three days. The election was overseen by Dom Ansgar Schmidt, the Abbot-President of the family of monasteries to which Glenstal belongs, the Benedictine Congregation of the Annunciation.